Are you looking for a Logbook Loan in Leeds? If you are looking for a Logbook Loan, then look no further. Car Cash Point will never be beaten on price, quality or service by any Leeds Logbook Loan Lender. With our 'Best Rate Guarantee', if you find a lower price from any other Leeds based lender, we will beat it by 10%. 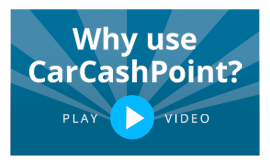 To apply for a loan from Car Cash Point Logbook Loans, Leeds, simply complete the on-line application form above for an instant no obligation quotation or if you prefer, call Freephone 0333 220 4419 to speak to an experienced member of our sales team. We're happy to help and we can complete and transfer funds for your Logbook Book Loan the same day! Point guarantees to beat the price by 10% and still complete the same day. Plus, don't be seduced by other Logbook Lenders in Leeds who make false, misleading and often confusing claims regarding early settlement charges, as the other Logbook Loan lenders based in Leeds will give you a 'discount on the outstanding interest' for settling early which equates to a settlement penalty. We appreciate you want the flexibility to make additional capital payments when you can afford it, to reduce your loan and your payments so you pay less interest. This is why Car Cash Point are the only Leeds based Logbook Loan lender to allow our customers to make capital overpayment of £100, or more, at any time during the loan term and as many times as required. It is worth noting the all other Leeds based Logbook Loan lenders will accept overpayments but never reduced the loan amount or re-calculate the loan interest. true European city, Leeds has developed from a post-industrial mill town, to a 21st century cosmopolitan business and tourism hub. As a growing business centre, Leeds is second only to the UK's capital, giving all 782,000 Loiners in the area a solid economy. With over 30 national and international banks having a presence in the city, as well as a large number of law firms, manufacturing businesses, and a thriving creative and digital industry, Leeds is a major financial city. And as a tourist hotspot, Leeds has got what it takes, attracting millions of visitors every year. With landmarks including the Dalek (Bridgewater Place office building), Leeds Town Hall, and the Grand Theatre, as well as attractions including over 16 museums and galleries, plenty of open spaces and parks, and its own ballet and opera companies, Leeds is perfect for a cultural escape. Leeds is also successful in being one of Yorkshire's most popular cities for logbook loans. Helping people unlock the cash from their car, Car Cash Point can promise the lowest and best rate logbook loans in Leeds. If you find another logbook loan lender anywhere in Leeds with a lower price, Car Cash Point will beat it by 10%. For service, quality and price, we're never beaten, so call our award-winning advisors today for a logbook loan that suits you.